You’ll find plenty of recipes on Food Revival and each of them (if I post them) are good. But then there are those recipes that I can’t wait to share with y’all because they were THAT good. Folks, this is one of those recipes. 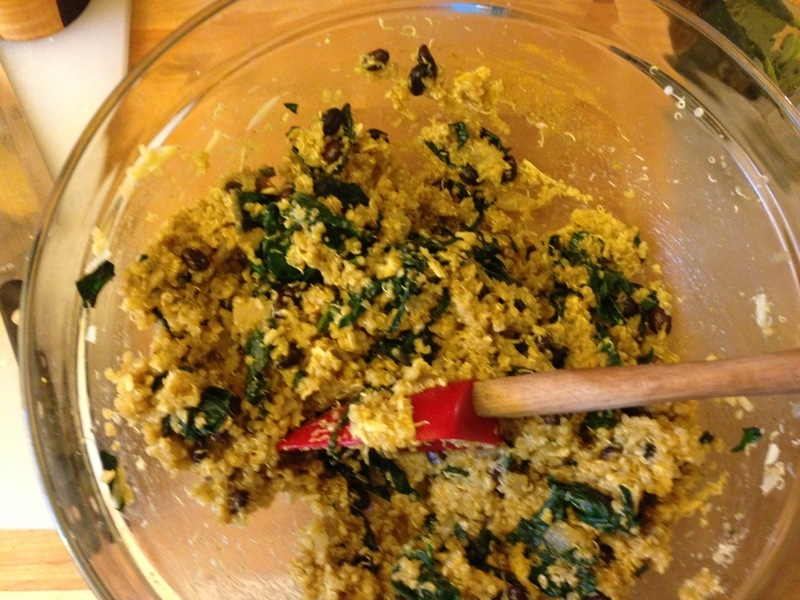 I made Curried Quinoa Cakes with Kale last week and ended up not sharing with loved ones. Well, that’s not true. I shared one with my husband, tried to give a little to my kid (who refuses to eat everything I make and didn’t disappoint me this time either), and I gave a bite to some colleagues. The reason I was hesitant to share is because I wanted them all to myself. They were that good. So here I am sharing with all of you! I found the recipe on Care2.com. 1. For quinoa, just follow the directions on the box.2. In a frying pan, drizzle some olive oil over medium heat. 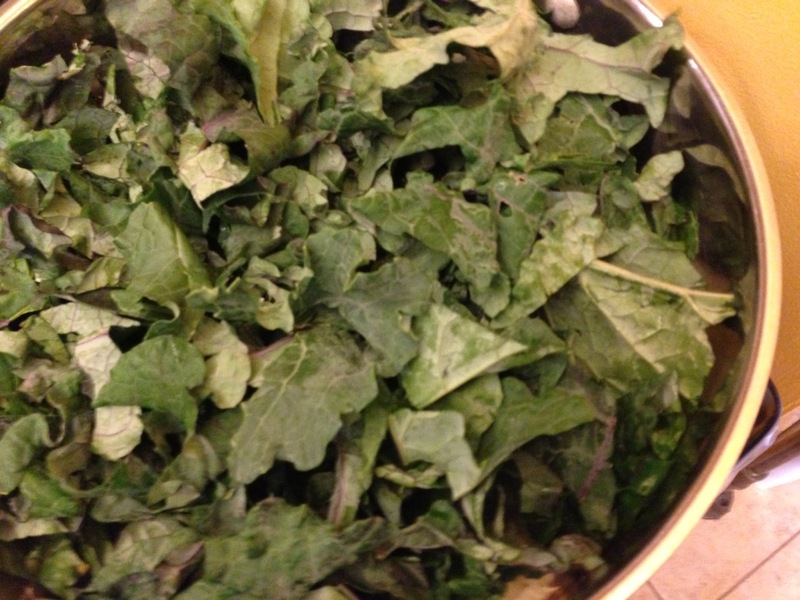 Saute the onion for a few minutes, then add the garlic and kale (got mine from Snow’s Bend Farm) and cook for 4-5 minutes until the garlic is fragrant and the spinach is wilted (my kale needed a little more time). Remove from heat and let it cool for a few minutes. 4. Using your hands, form medium-sized patties. 5. Heat the canola oil in a large, heavy skillet (cast iron is ideal) over medium-low heat. Once it is hot but not smoking add as many patties as you can comfortably fit while still allowing a little room between them so you’ll have space to flip them and cook for 4-5 minutes or until the bottoms are deeply browned (cooking time will depend on how hot the pan and oil were when you started.) Carefully flip the patties with a spatula and cook the second sides for another 4-5 minutes, or until golden brown. Remove from the skillet and cool on a paper towels while you cook the remaining patties. I’m notorious for failing to keep bean burgers, quinoa cakes, etc in tact during the cooking process. These proved to be delicate, but I managed to get the hang of it after the first batch was finished. So, just be sure that you get the pan/oil hot enough before adding the cakes. If they start to fall apart, don’t freak out. Just try your best to bring them back together while they are cooking and flip once the bottom is crisp and brown. I also think they could be crumbled up on salads or paired with lentils, etc. Absolutely 100% worth the effort. I might try to bake them next time just for comparison’s sake. Hey there! I’ve been reading your weblog for some time now and finally got the courage to go ahead and give you a shout out from Houston Texas! Just wanted to tell you keep up the excellent work!